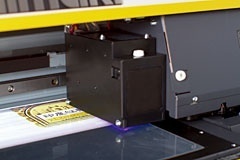 2 staggered heads arrangement enables simultaneous printing. 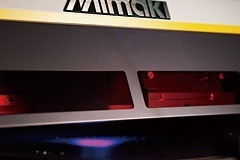 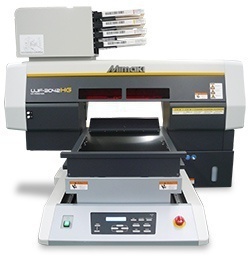 White over and underprinting achieves the same speed as color printing. 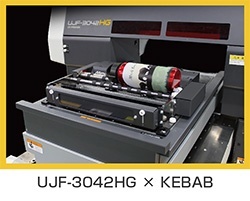 UJF-3042HG is the most affordable flatbed tabletop printer that is just the right size to be placed into any office.